Can you tell us about how you started Loft Bridal? Much of my 10 years as a buyer in the fashion industry was about pushing boundaries. I love discovering new brands and through my experiences as a buyer, I realised that I was part of a generation of women who are constantly seeking out the new and willing to take risks. I got married in 2016 and when it came time to look for my own wedding gown, I found that much of the bridal market in Asia still adheres to the cookie-cutter mould of femininity and beauty. In the end, none of the dresses I tried on from big labels really suited me. 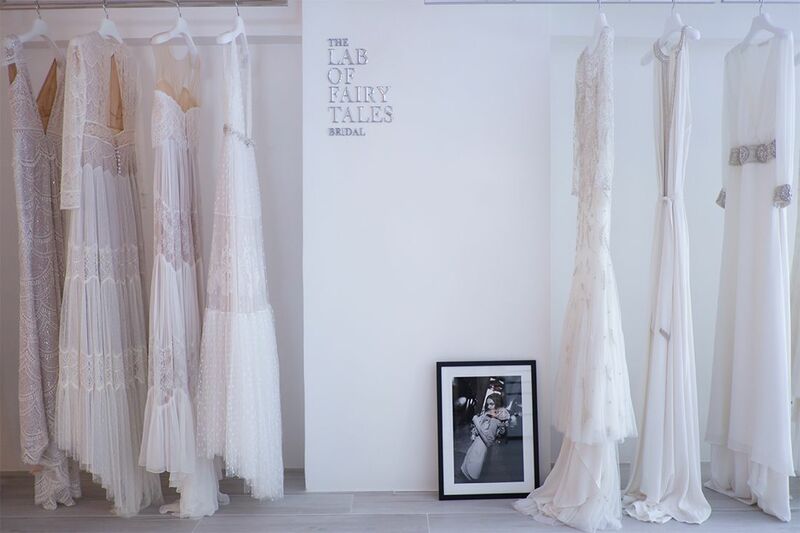 I started Loft Bridal—The Lab Of Fairy Tales—a year after I got married because I wanted to reinvent the bridal experience and to offer a curated selection of wedding gowns that would resonate with the modern woman. What’s the best piece of style advice you received for your own wedding? What are your dos and don’ts for the bride-to-be? Do: Splurge on one beautiful gown that you cannot live without and wear it throughout your big day—it’s a mistake to buy several mediocre gowns with the same budget. Don’t: Overdo your hair and makeup. You should just be the very best version of yourself and not a different person altogether. Don’t: Feel like you must bring an audience when you try on wedding dresses. Too many opinions can be a bad thing, and it’s perfectly normal to go alone, as I did. What advice would you give to recently engaged brides-to-be? As hard as it sounds, I would advise brides-to-be to not to shop for a gown immediately. You should try to confirm a venue and date before you begin your search because your choice in dresses will differ depending on the location and climate. Keep in mind that from the first until the final (the third or fourth) fitting, a custom wedding gown usually takes four to six months. Also, I would encourage women to try on different silhouettes before committing to a style. What are some bridal labels to keep an eye out for? I love Lihi Hod from Israel. She worked under John Galliano when he was running the show at Christian Dior Couture. I also love the understated glamour of One Day Bridal from Australia. Lelet NY is a modern jewellery label that uses pearls in very innovative ways; their combs and clips are the perfect hair accessory. Another one is Katkim, a fine jewellery label that’s strikingly architectural yet minimal at the same time.